So, if you've ever read any post on this blog about brows, you've heard me talk about the Anastasia Brow Wiz. And really, this is one of those products that, if you spend any time meandering through the online beauty, you'll have heard about from countless other people. That's because it. is. great. It is also spendy, which may be why I don't use it every single day. I have a tendency to keep my spendier products for special occasions or, let's be honest, days when I look a hot mess and I need something really great to pick me up. However, this is my second repurchase of this product, because even at nearly $30 at Sephora, I feel like it's worth every single penny. I'm pretty sure I will continue to sing the praises of this brow pencil for quite some time, unless another company comes up with a product that can rival this one at a lower prince. 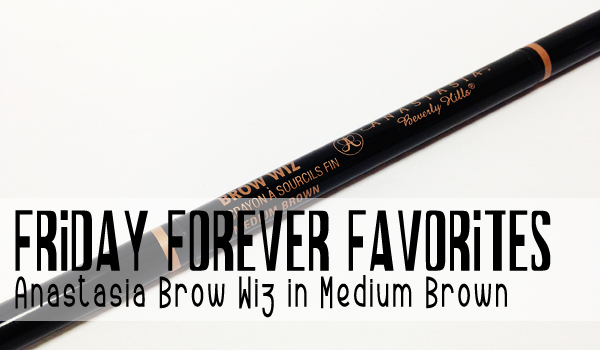 Keep reading for a closer look and more of why I'm obsessed with this eyebrow pencil. Sometimes brows need a little magic. This must-have pencil features an ultrafine, retractable tip to fill in gaps easily and mimic brow hair. Perfect for spot checking areas that may be sparse or over-tweezed, the smear-proof formula wears all day for a natural, fresh look. It's hard to know where to start with this product, because there are so many things I love about it. So, I guess, we'll start where we always start on this blog: Packaging! This pencil is slim and light with product at one end and a spooley at the other. It's made of black, shiny plastic with rose gold printing and accents on it. As pencils go, which lets face it isn't very face, this one is really pretty and chic. Next, the important bits. 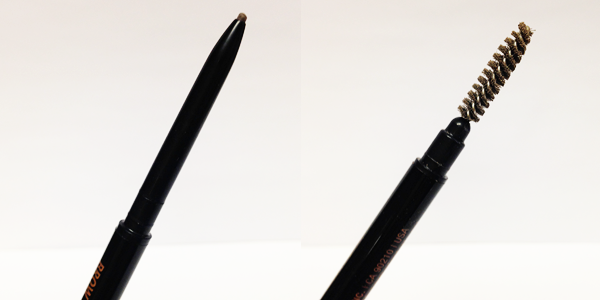 The formula of this pencil is perfect for the brows. It's quite hard, which makes it really easy to use a light hand and only distribute a little bit of product. It's also quite thin, which allows you to really easily create hair-like strokes. Overall, I feel like this is the easiest brow pencil I've ever used and is perfect for creating a really natural, but perfected looking brow. I also love this spooly. I don't actually know what it is about this spooly, because you would think that they'd all do pretty much the same thing, but somehow this just brushes everything out and diffuses any harsh lines that you might put in there when you're filling your brows to just make everything look soft and natural. I've also seen this pencil used to create a very sharp, contoured brow, so it's obviously quite versatile. The final thing that I really love about this product is the shade range. With 9 shades to choose from, there seems to literally be something for everyone. A lot of companies tend to be pretty narrow with their eyebrow shades, which tends to leave a lot of people out, but Anastasia Beverly Hills has everyone covered. And I would be remiss if I didn't point out that she actually has a lot of different types of brow products, which I feel like really tick all the boxes. My hair is naturally a kind of medium to dark brown and I like to go a shade lighter with my brows so that they don't look too dark on my pale skin. The Brow Wiz in Medium Brown (formerly Medium Ash) is a perfect neutral shade to fill in my brows naturally but still impactfully. 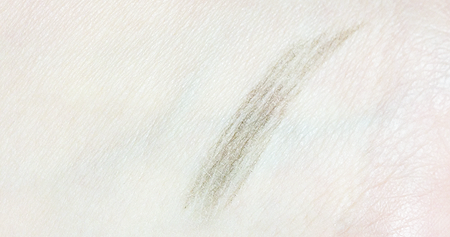 I seriously can't say enough good things about this brow pencil. Nothing else in my collection even comes close to this brow product. Do you have a holy grail eyebrow product? i haven't tried this product (yet!) but i don't think i've seen a single bad review. i still have a couple brow products to use up but i am definitely wanting to try this one in the future! You're going to love it when you get around to it, I pretty much guarantee it! I've gone all brows crazy in the last year and this one always wins of all the brow products I've tried.